These little ornaments will add sparkle and glimmer to your Christmas tree! 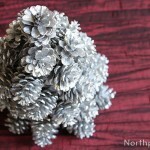 Paint them silver or gold or cover them with glitter, and they will be real eye-catchers on your Christmas evergreen. And, trust us, you will be surprised at how snazzy cardboard looks once it is painted metallic. *You may need extra X-Acto blades. Print the template and cut out the star. 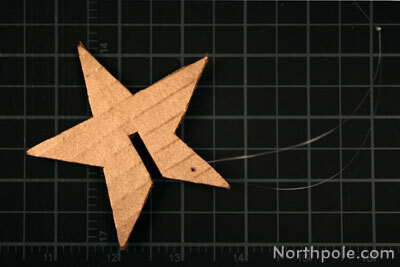 Trace the star onto cardboard twice. 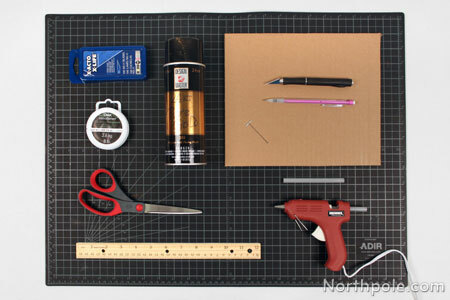 Place cutting mat on a flat surface. 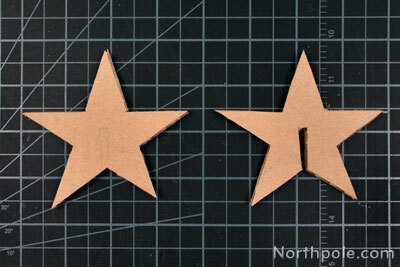 Using ruler and X-Acto, cut out the stars. First cut along the outline, and then cut out the niche. On ONE star (yes, only one of them) poke a small hole about 0.25" from the edge with the pin. Use the template as a reference, if you like. Set pin aside. 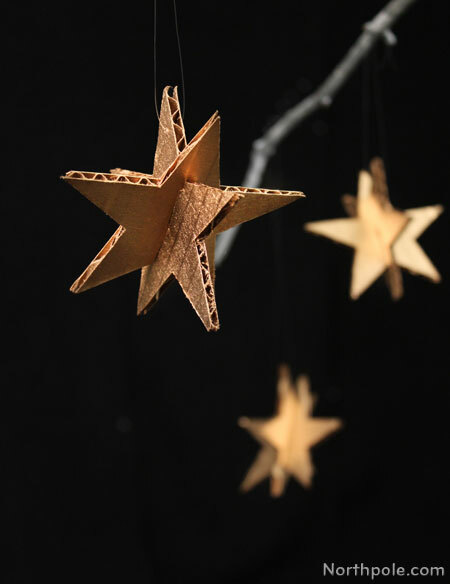 Take stars, large piece of scrap cardboard (or newspaper), gold spray paint and go to a well-ventilated area. Spray stars with paint, allow to them dry, flip them over, and then paint the reverse side. 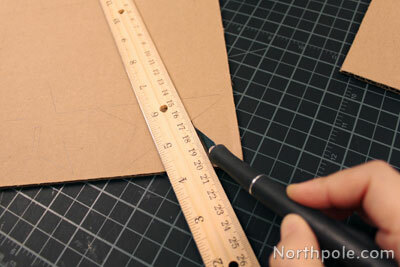 As you paint, try to paint the edges as well. Once the stars are completely dry, cut a piece of fishing line about 8" long. Pull the string through the hole that you made in step 5, and tie a knot. Interlock the pieces together and hang on your tree! 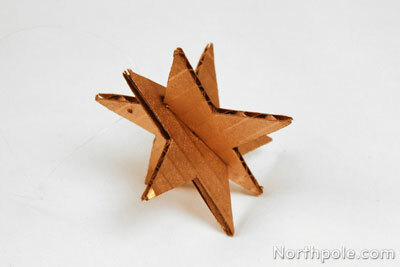 Now you star ornament is done. 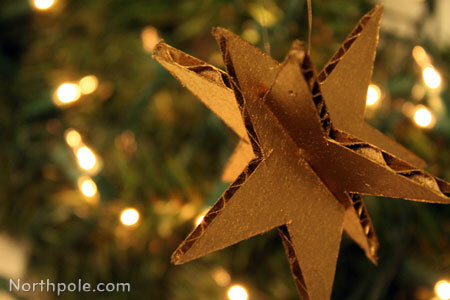 To make sure you don’t cut into the star, always cut away from the star’s center. If your edges are hairy, you might need to use a new blade on your X-Acto.